When I must use the server pack: How can I install this. A.) This is not the support forum for any public servers. C.) You never need to install the server version of a modpack to join a server. That is only for running your own server. If you are interested in running your own server, and you can't find a server version of a modpack, google can guide you towards setting up a server version of a modpack. 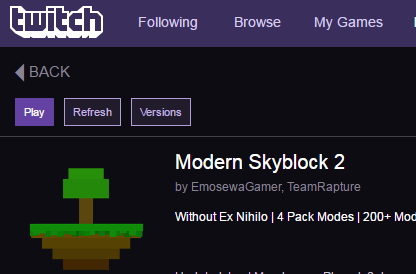 not sure if i should ask this here but since its related to this pack. i used to play skyfactory 3 and mobs kept spawning in my (chunkloaded) mobfarm but on this pack they dont. is it a config setting or is something broken with chunkloading in this pack. That simply isn't possible. Not matter if the area is chunkloaded or not, there needs to be a player 25-40 blocks away for something to spawn. Which Version use the offical sever? QQ: How i use the dark matter warper? I'm having problems with getting Embers to work. I setup the Ember activator + emitter pointing towards a copper cell + ember receptor, with a block distance between the emitter and receptor. With dials on both so I can read the ember levels and levers on the necessary emitters, I am not sure where I am going wrong but there is never ember transferred. Any help or links would be appreciated! Mind you I've already looked at a few spotlights and the original mod-thread. How is it possible to get sugarcane in expert mode? My crafting quests dont get completed in the book but the retrieval ones do how do i fix that? There is no way to craft the mob masher upgrades is this intended. However, I did have to use the command /bq_admin complete #questnumber to finish some. It is really annoying. Some ingot quests do not work because condenser will give you ingots from certain mod while the quest book ask the same ingot from another mod. Craft oredictionary machine from RFTools, and you can freely convert ingot between mods. I notice erodium or any crystal needed for upgrade void miner do not have preferred lens. Is this intended? The current rate of getting them are really slow. I think yesterday I afked for about 3 hours only get about 4-5 those crystals. And I need over 100 to get void miner upgrade from lv1 to lv2. Not sure what you're referring to. 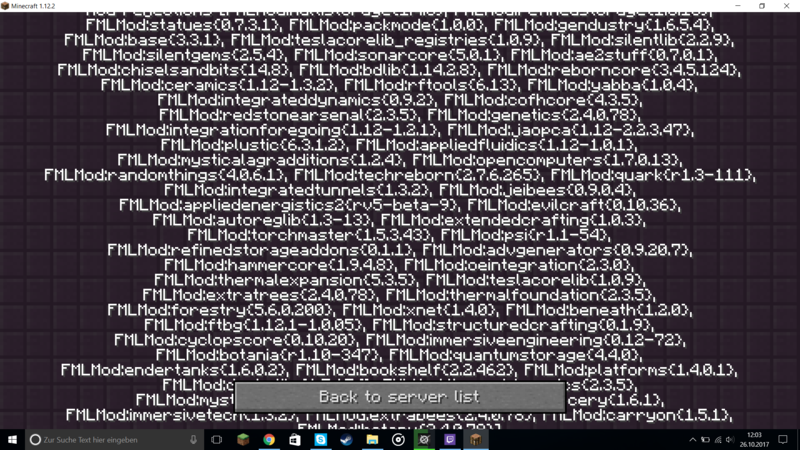 I'm not looking for a server pack. Place it near where skeletons are and supply it with dark matter (as a fuel). It will quickly transform nearby skeletons into wither skeletons. Just don't be nearby while it does this, or you'll have a bad time. Use the recipe listed in JEI. The fact that you don't know this leads me to believe that you want it for the wrong reasons. For paper use rice or sawdust. For sugar use rice or kill witches.